Anyone else in the mood for Spring? I really can’t complain about how “nice” the winter has been this year in Minnesota! With the official start of Spring quickly approaching it’s time to start planning gross motor activities with a Spring theme. 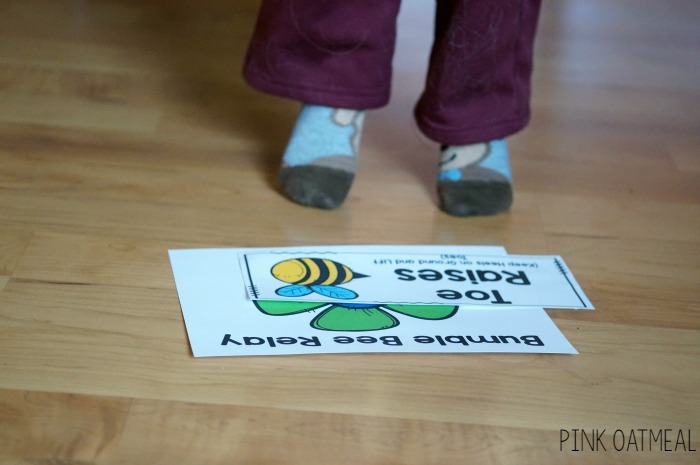 The Bumble Bee Relay is one fun way to get moving this Spring! 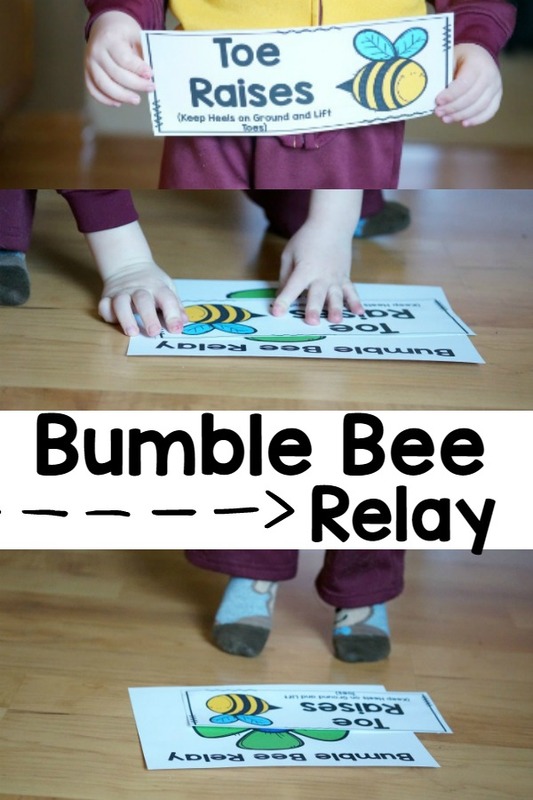 The Bumble Bee Relay can be be played with as little as teams of one person to a full class. 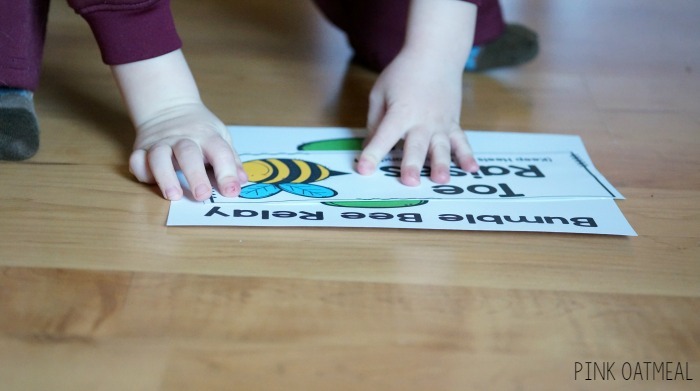 It’s a flexible game that you can make work with all different groups of kids! Cut out and laminate (for prolonged use) bumble bee cards (or make your own). You may need to cut out multiple copies depending on how many players you have. Print and laminate (for prolonged use) flower cards. Divide students up in teams (up to 5 teams). Teams are green, blue, orange, pink, or yellow based on the flower. Teams line up across from their flower. For example the blue team gets in a line across the room from their blue flower. Each child has a bumblebee card in their hand. 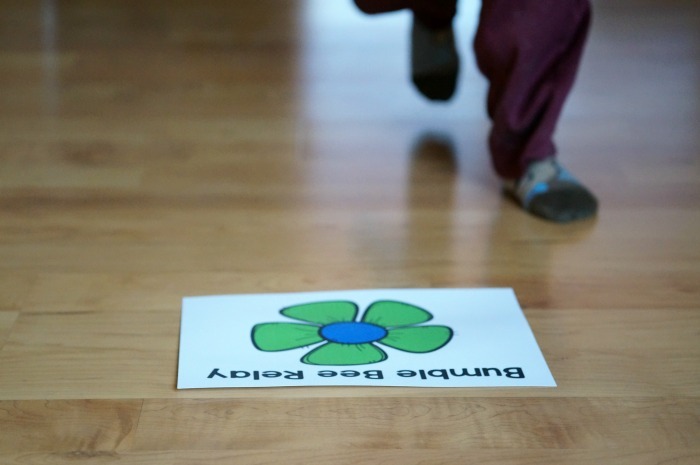 The game begins by the first student in each line running down to their flower. The student performs the action on their card a pre-determined (determined by the instructor at the start of the game) number of times. Depending on the age of the kids, an adult may need to assist with reading the action. Once the action is performed the child place the card on their flower and runs back to the back of the line and the next player gets to go. Play continues until everyone on a team completes the relay. Switch the bumble bee cards up and play again! Think of how great it would feel to already have this game (and more!) created for you? Even better, you would feel confident you have a game your kids will love and so will you. No need to search any further or spend time creating this game for yourself. 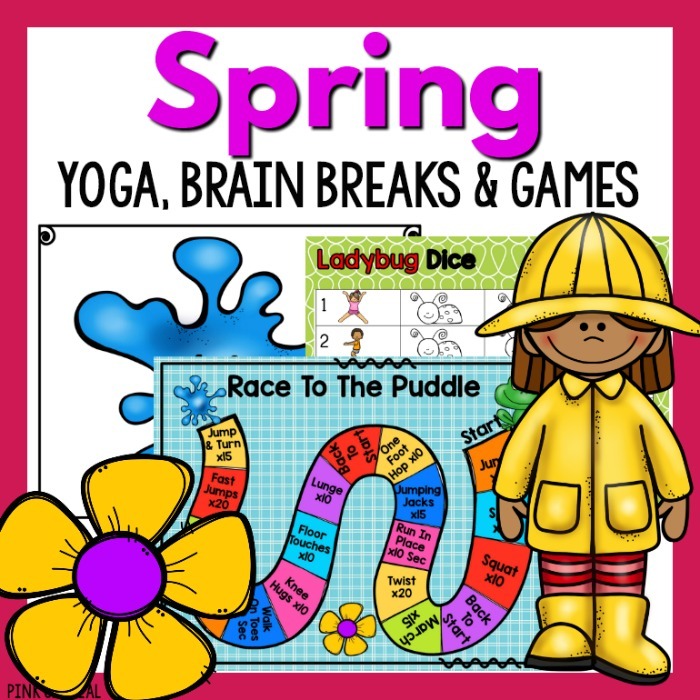 Get everything you need in the Spring Yoga, Brain Breaks, and Games variety pack and safe time, effort, and money right now! Follow Pink Oatmeal’s board Gross Motor on Pinterest.